jadah marie Photos, News, and Videos | Just Jared Jr.
Disney Channel just held it’s 2019 Ball, The Rainbow Ball – and all the stars were in attendance! Olivia Sanabia, Ciara Riley Wilson, Sadie Stanley, Ruby Rose Turner, Kamri Peterson, Malachi Barton, Sophie Pollono, and so many more were at the event and shared all the cutest Instagrams. 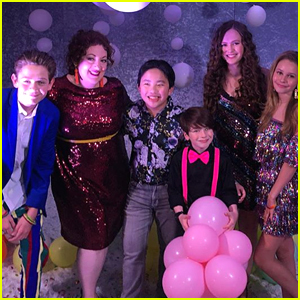 Ava Kolker even reunited with her Girl Meets World co-star August Maturo, and Descendants 3‘s Jadah Marie stepped out for her first ever ball. Disney threw an Emerald Ball last year, and in 2017, it was the Jungle Ball. When we pictured Celia, the daughter of Dr. Facilier, in our minds, this is exactly what we saw! 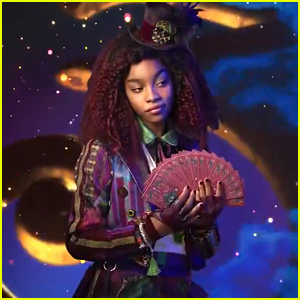 Disney Channel just debuted the first look of Celia, played by Jadah Marie on their social media and we are loving her look! Look at those voodoo cards in her hand! Jadah was announced to play Celia earlier last year, along with Jamal Sims, as The Princess and the Frog villain. Jamal also serves as a choreographer on the movie. Check out the first look animation below now! We are very sad to report that Kenny Ortega‘s beloved pup Manly Boi “Wildcat” Ortega has passed away at the age of 12. The Descendants and High School Musical director/choreographer shared the news on his Instagram on Tuesday (July 24) and received an outpouring of love. Stars from both Disney franchises offered their love and condolences, including Manly‘s High School Musical co-star Ashley Tisdale. He played her pup Boi in the second and third films. Many members from Kenny‘s films, including High School Musical actors Monique Coleman, Jared Murillo, and Matt Prokop, Descendants actors Kristin Chenoweth, Melanie Paxson, Brenna D’Amico, and Jadah Marie, as well as Rocky Horror star Laverne Cox all shared their love. See what they said in the gallery below. 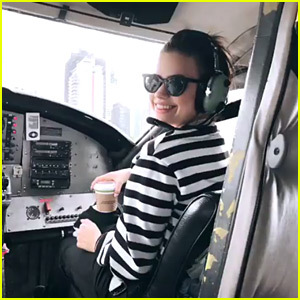 Over the weekend, Descendants 3 stars Dove Cameron, Sofia Carson, Zachary Gibson, Sarah Jeffery, Anna Cathcart and Jadah Marie went out on a scenic overlook tour of Vancouver. While Jedidah wasn’t at the helm this time around, the cast did a chance to take turns sitting in that co-pilot seat for the best view in the plane. “Cutest co-pilot,” Anna said about Sarah in the seat on Instagram Stories. Check out Dove‘s video of the flight below!